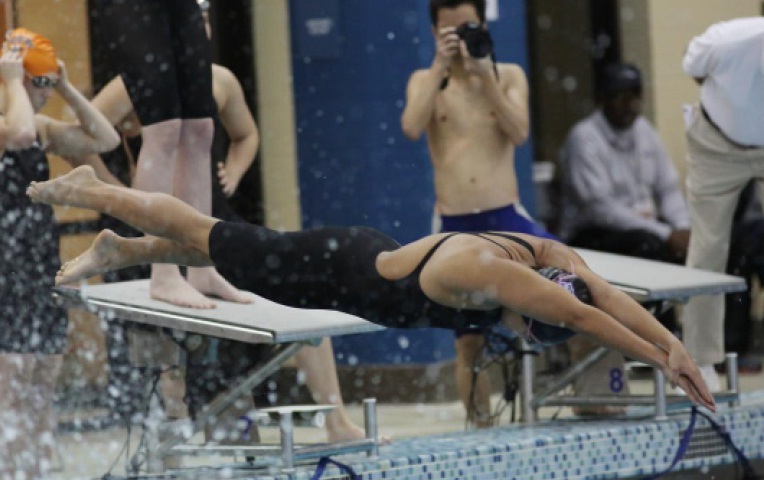 On January 18, the Sewanee Tigers Swim & Dive team hosted Birmingham-Southern at Fowler Athletic Center pool. The tigers brought their A-game to the pool that day, with both the men and women raking in high scores to beat their Southern Athletic Association (SAA) rival. The added emotions from the senior meet plus the fast approaching conference championship meet made this win over BSC especially sweet for the team according to Mallory Graves (C’16). At the other end of the pool, the divers took tothe board with poise and precision, executing each dive excellently. Margaret Petersen (C’14) and Grace Cobbs (C’16) dominated the 3-meter event, with Petersen securing 1st place with an impressive 140.00 points. The Tigers still have about a month left until the season’s end with the SAA Championships, but they have proven to be a strong and supportive team, one that will surely keep up the wins and is sure to do well at the SAA Championships. Next Post: Too many ladies?? ?